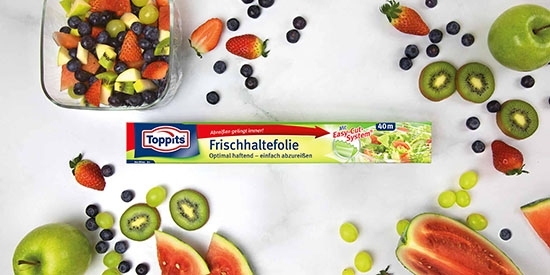 Mit Toppits® Frischhaltefolie Dinge vor dem Auslaufen bewahren. 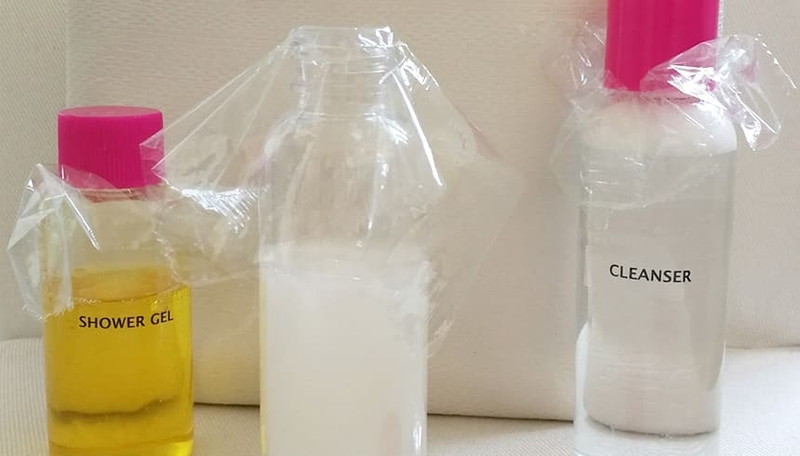 Shower gel, toothpaste, hand cream - things you need when travelling that are guaranteed to leak in your bag or smear completely after being shaken around. That's the unwritten rule of travelling - but now you can finally break it! Easy to do, big effect: Simply unscrew the tube you want to seal and place a small piece of Toppits® cling film over the opening. Then screw the lid closed and the next time you open it, you'll be delighted by how cleanly and smoothly you can squeeze the tube.